In Jim Murphy’s work as a Capitol Hill veterinarian, pet sounds are an occupational hazard. At home, they’re a welcome retreat. “Pet Sounds” by the Beach Boys is one of the Bowie resident’s favorite albums. Since the age of 10, Murphy has been a Beach Boys fan. He remembers the fall day in 1966 when his big brother burst into the family’s Bronx apartment, announced that he’d just heard a song called “Good Vibrations.” They had to go out and buy the 45-rpm record right away. They practically wore it out, playing it over and over and over again on the family’s Zenith turntable. Murphy guesses he’s seen the group perform about two dozen times and he has tried to read everything he can about the group. Yet, he never located a definitive account of the band’s formative years. So he wrote one himself. 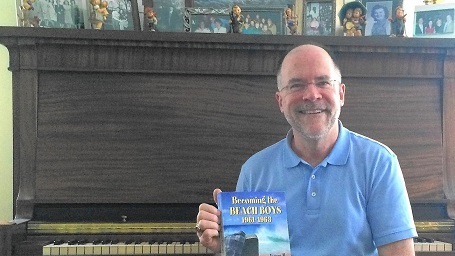 “Becoming the Beach Boys, 1961-1963” was released by McFarland Press earlier this year. Murphy initially thought of the project as a simple essay, perhaps five or 10 pages. He wanted merely to get down everything he knew. But he kept digging deeper, talking to people who knew Brian Wilson and the other band members, and the project grew. Murphy didn’t interview Wilson himself. The book took him eight years to complete, largely because of his attention to detail. Murphy got his undergraduate degree in chemistry and brought to his writing a scientist’s fascination with research and verification. He conducted 75 interviews with close friends and relatives of group members. The book includes everything from diagrams of the band’s first recording studio and copies of recording contracts to a list of its earliest public appearances — before anyone outside of Hawthorne, California knew who they were. Murphy even tracked down Judy Bowles, who was once engaged to Brian Wilson, the creative genius of the band. Bowles was the inspiration for the song “Surfer Girl,” which became one of the group’s many hits. “She was sort of a coup,” Murphy said. Eventually, their music would be accepted, too. Eventually, executives from Capitol Records heard one of their demos, signed the group, and released the two-sided hit “Surfin’ Safari/409” in the summer of 1962. “And they’re off and running,” Murphy said. Pop music fans know the rest of the story — the rise, the drop in popularity even as the music grew more sophisticated and interesting. Wilson had more than his share of problems along the way with drugs and other demons. The group has gone through all kinds of changes, too. But it’s the origins of the band that Murphy finds so interesting. A couple of Southern California kids with little formal musical training, decide to form a band and try to make records — maybe to meet girls, make some money, become famous. And it happened. “They’re the quintessential American garage band,” Murphy said. “They pursued a dream and made it work.” He could say the same thing about himself. 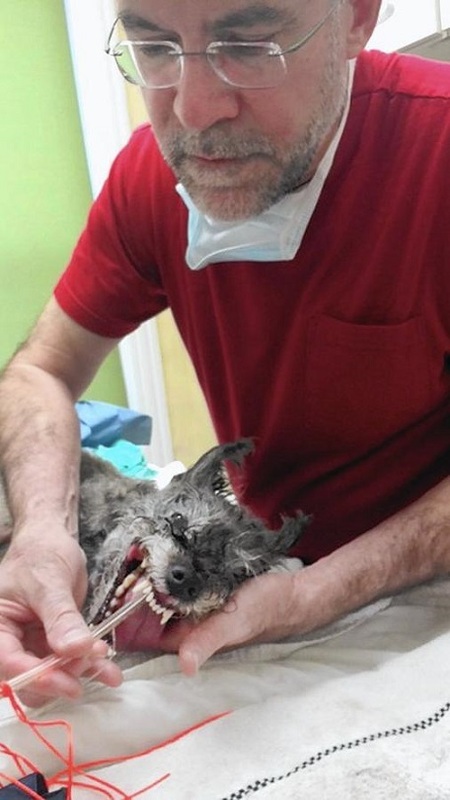 Treating people’s dogs and cats at the Capitol Hill Animal Clinic is a long way from where he started. Murphy actually changed careers mid-stream, leaving a job with the Postal Service at age 37 to pursue his dream of becoming a veterinarian. When he went back to school, his wife Bernadette supported them both. She’s a Washington, D.C. paralegal. She also proved an invaluable asset when it came to editing the book as well, making corrections and suggestions. She’s a Beach Boys fan, too, although a much more casual one than her husband. As for Murphy, he’s still yet to tire of the group. Listening to the “Beach Boys” conjures up memories of sun, fun, surf and romance. If you’re interested in purchasing the book, visit Amazon, Barnes and Noble, and McFarland Books. Mr. Murphy: I received your book as a Christmas present and just finished it today. Excellent work! After all these years as a BB fanatic I finally understand the Candix/X differences, and as a bonus you explained what happened to Brad Elliott and my money. I am local in Maryland so if you do any future book signings please publicize them on this website as I would love to get my copy signed.